Change your 'do without fear! It's a snap to restyle your look with a beautiful, full head of glorious auburn hair. 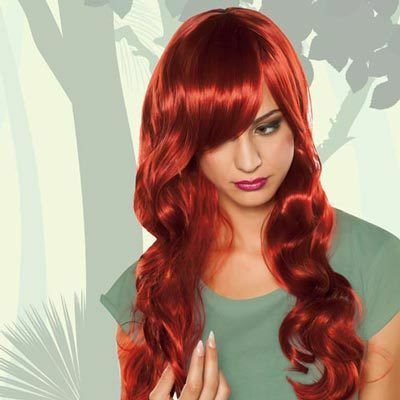 This wig features flowing acrylic curls of deep red that combines movie star flair with an otherworldly appeal. Features an easy wear wig cap ideal for quick changeups. Great for fancy dress parties, holidays or anytime you just want something different. Imported. One size fits most. 22"l.